Joachim, thanks for agreeing to share your story with our readers! Let’s kick it off by clearing things up in my head – you’ve founded Intox Studio and you also run DEV Institute. What is the idea behind each of those businesses, and how do you split your time between them? While I was studying at The Technical University of Denmark I started Intox Studio for people and companies in Scandinavia that need a developer and/or an advisor for websites and web apps. “Intox” was the name of the first website I built with HTML and CSS when I was 11 years old, and it just stuck with me ever since. The logo is almost the same as it was back then, too. After releasing some plugins to the WordPress Plugin Repository, I began getting contacted frequently on intox.dk by users that needed (free) support. That’s totally understandable as I’ve used Intox Studio as part of the branding for the plugins. However, because I do a lot more than working with WordPress in Intox Studio, I figured I needed a brand specifically for my WordPress plugins, so I launched DEV Institute, along with Content Aware Sidebars Pro. 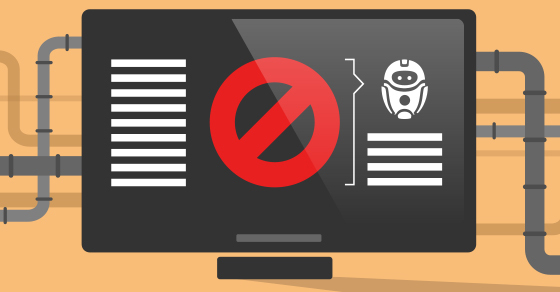 Whenever I have a client for Intox Studio, they will, of course, get top priority, but as Content Aware Sidebars Pro grows, I am able to take on less new clients and work more from DEV Institute, and perhaps release more plugins in the future. Do you work from home or from an office? Is it a one man show, or are there other team members? The past year I have traveled a lot between my home in Denmark and the United States where my fiance lives, so for a long time, my workstation has only consisted of a laptop, bluetooth mouse, smartphone, and an occasional bluetooth keyboard when space allows it. And it actually feels nice. Being able to build stuff and reach my international customers from anywhere is liberating and definitely one of the best things about this profession. What’s the origin story behind the ‘Content Aware Sidebars’ plugin? How did the idea for it come to your mind? I was building a site for a client where I needed different sidebars for different posts and pages, and at the time I couldn’t find any plugin that did the job. Instead of hardcoding the sidebars into the theme, I found that creating a custom post type, which was a new concept in WordPress at the time, would be perfect for it. The solution ended up being a small and nifty plugin that I then decided to release in the WordPress Plugin Repository to help other people with a similar problem. Your free version is doing very well on the official WordPress.org repository. Why do you think it became so popular? An initial goal of the plugin was to make it easy for the user to create new sidebars and widget areas without knowing any PHP code or using Conditional Tags, and it should work with any theme. As more and more features were added, and as the complexity of the conditions for where and when to display a sidebar grew, I focused on not compromising speed or usability – and still do. Content Aware Sidebars is fast and scales very well and lets you replace and display sidebars in a wide range of contexts, such as on all posts written by a select author, or on all posts with select categories. It automatically supports custom post types, custom taxonomies and special content by other plugins, such as WPML languages, BuddyPress member profiles, and Pods Pages. This mix of compatibility, functionality and user friendliness, I think, is the reason for its popularity. And in the future, I hope to collaborate even closer with other plugin and theme developers. The reviews seem to be very supportive of ‘Content Aware Sidebars’. 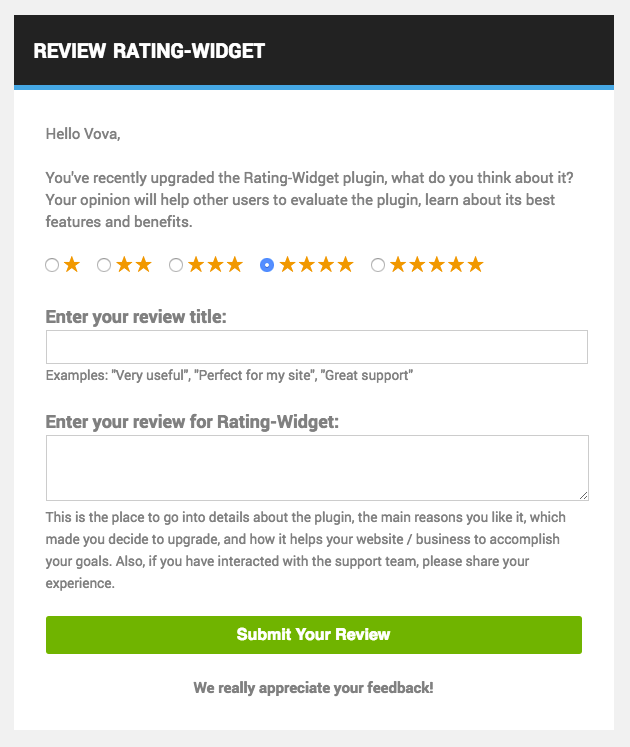 Is there anything you can recommend to other plugin owners with regards to getting users to provide positive testimonials? I’ve always helped users with their questions or problems in the support forums, and sometimes when it’s been resolved I will ask them if they want to give the plugin a quick review. This doesn’t add many new reviews, especially since the number of threads has decreased a lot since I published a documentation, but I still want to let users know that their feedback is valuable. About a year ago I added an admin notice on the sidebar editor screen that would show up two weeks after creating the first sidebar. This did give a slight increase in new reviews, but the real boost came after I wrote a more personal message and made it appear on all admin screens. So in a year, the number of 5-star reviews have more than doubled! I think the key is to remind users that there are real people, often independent developers like myself, behind those WordPress plugins they really trust and love. And for Content Aware Sidebars it seems like many users do want to support it when given a friendly notification. I read all reviews and appreciate every single one of them. 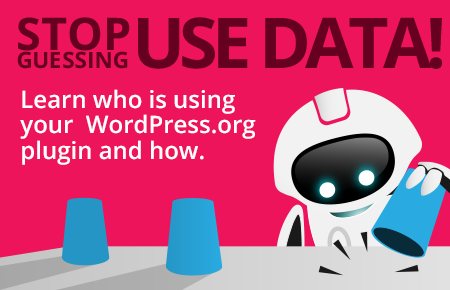 Are you actively searching for new problems to solve with WordPress plugins? If so, what does this process look like for you? Most often, if not always, it’s actually been the other way around: When building a WordPress site and encountering a new problem, I’d solve it with a plugin. Either by finding one that would do it elegantly, or by building one myself, like I did with Content Aware Sidebars. You’ve chosen the ‘freemium’ business model to promote and and drive more sales for the plugin, distributing the free version through the WP.org repository and upselling to the Pro version within the WP Admin dashboard through Revenues and from your site with the Buy Button. How has that been working out for you? For whom would you recommend this model? 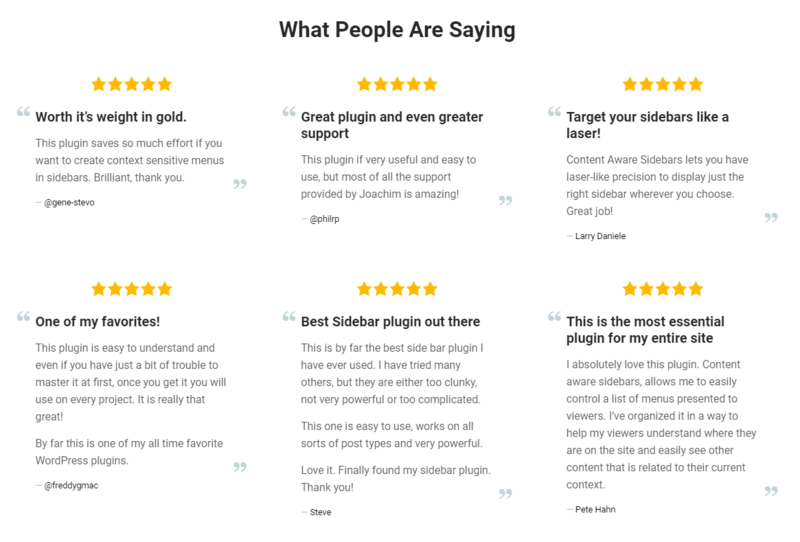 Content Aware Sidebars Pro was released much later than the free version of the plugin, and as I personally like contributing with OSS (and strongly dislike bait-and-switch), it seemed natural and fair to choose the freemium model. Fair for the current users to continue using the plugin for free and get updates, and fair for me as a business owner to keep the wheels turning. I can say that if I hadn’t launched the Pro version with Freemius, I just wouldn’t have been able to get Content Aware Sidebars to where it is today. In the past month, roughly 1/3 of all new customers have used the Freemius Buy Button on my site to buy the Pro version, while the rest have used the in-dashboard Freemius Upgrade page. So if you decide to use Freemius, I would say it is still important to have your own site and landing pages for your product. But the number also shows how comfortable people are with the security and user experience in purchasing the Pro version from the admin dashboard on their own sites: 2/3 of all new customers install the free version first and then upgrade afterwards. If your plugin or theme already has a lot of users, and if it’s hosted on wordpress.org, I would recommend the freemium model. 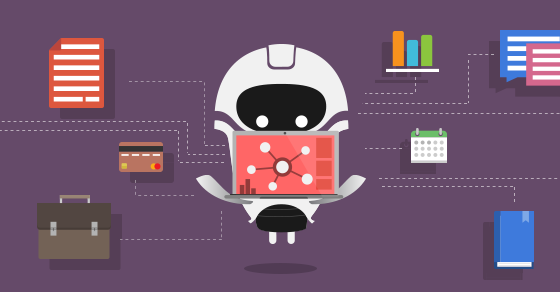 How did you first hear about the Freemius service, and what made you decide to use it to monetize your plugin? I already had a working prototype of Content Aware Sidebars Pro just lying around as I had previously wanted to release it by myself using Easy Digital Downloads in late 2014, but at that time I had just moved to San Francisco to work, and once the new EU VAT legislation took effect, the project was shelved. There were more obstacles than anticipated, and I just didn’t have time for it. Then last year I saw an article about Freemius Insights, on WPTavern I think it was, which immediately caught my attention. It turned out there was a closed beta program for Freemius Monetization, so I got in touch with Vova, and after only a few emails I knew it was just what I had been looking for. Taking care of plugin updates and licensing, managing payments and subscriptions, being in compliance with EU VAT, etc. are all things I could do myself, but with Freemius I can focus 100% on the Pro version and my customers and still have full control over the plugin. How long did it take to integrate Freemius, set up your plans and licenses, and start selling the pro version with it? When first talking with Vova, the Freemius WordPress SDK still needed a few things before I could add it to Content Aware Sidebars. So in the meantime I polished the prototype of the Pro version and created two plans in Freemius. Setting everything up was super easy with the documentation and step-by-step guides. Implementing the SDK (literally just copying and pasting a snippet of code), integrating the code from the Pro version, and finally testing everything from deployment to checkout and licensing, were all done in only a few days of work combined. All in all from when I first contacted the Freemius team, it took little less than two months before I released Content Aware Sidebars Pro and started making money. How would you describe your experience working in cooperation with the Freemius team? 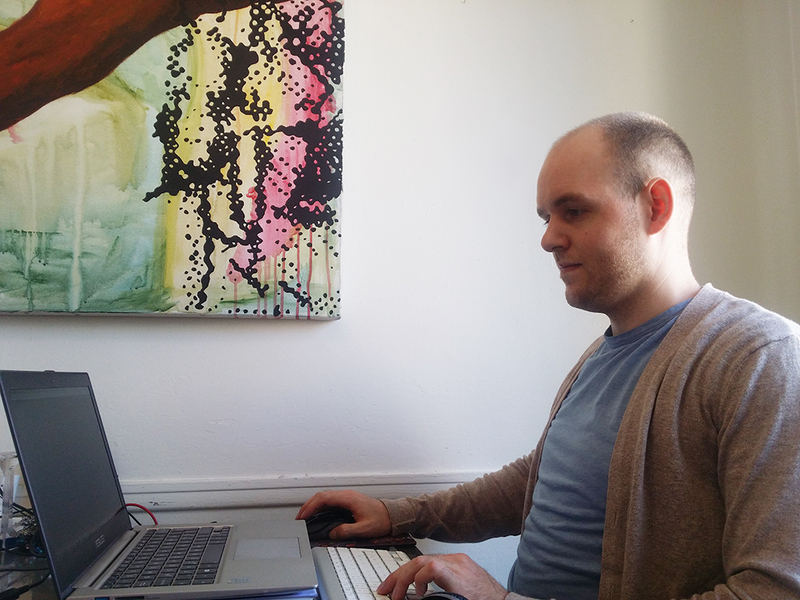 The Freemius team is super friendly and professional. I really appreciate being able to just ask questions directly to Vova on Slack and then almost always get an immediate, thought-out response. And at the same time I get tips and ideas on how to improve the marketing for the Pro version, which is a big plus for me being an engineer, first and foremost. 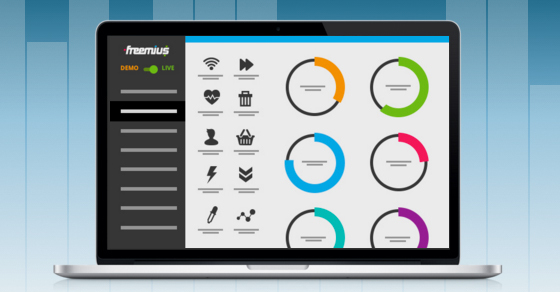 The Freemius WordPress SDK is (obviously) open source and the team does a great job at listening to feedback and handling issues and pull requests on GitHub. Often they’re already working on the feature I ask about. 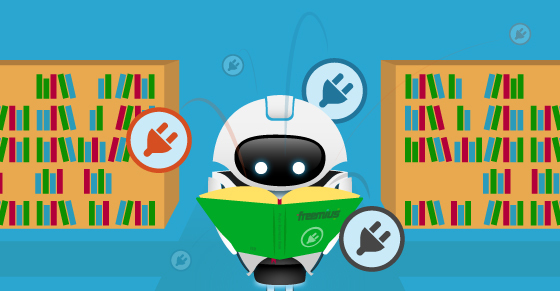 What is the thing or feature you like most about Freemius? While I don’t use all the features that Freemius has to offer, it’s really hard to choose my favorite. 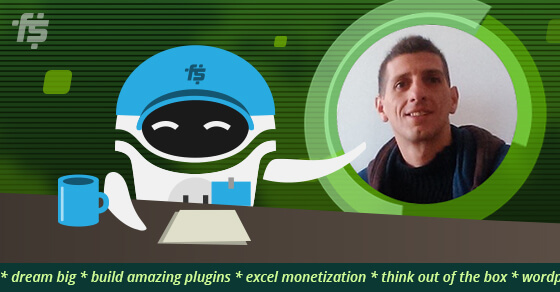 And while not really a feature, what I like most is that I don’t feel like I am just one of their many, many partners, and that I can work on my own plugin, get in touch with my customers, and have peace in mind knowing Freemius just works. How do you feel about the WordPress sphere? Would you say that the community has pushed your business success further, or is that not really relevant? I’ve only ever attended one WordCamp in San Francisco and never been to any meetups in Denmark, as I just haven’t been around when they’re held, but I think the online WordPress community is great and very helpful. I still remember only shortly after releasing Content Aware Sidebars, I would find articles about it on blogs. Since then some big sites and figures in the WordPress community have also written about it, made video tutorials about it, and reviewed it. I’ve seen other plugins and themes that recommend it, and some users have told me their theme shipped with it. I’ve never expected or asked for any of that, and it really inspires me knowing I have created something that other people like so much that they not only use it, but also share the word and teach about it, sometimes even in a language I will probably never speak. So without a doubt the WordPress community has helped Content Aware Sidebars with its success. What’s one good tip you can provide for developers who are looking to create a sustainable business around WordPress plugins or themes? Don’t let success itself be a goal of whatever you build. Instead, listen to the users and the WordPress community, focus on the value you create, and have the potential to create, and aim for that every day. Then, I think, success will come naturally as a result. Joachim, thank you so much for your time and for your honest answers! 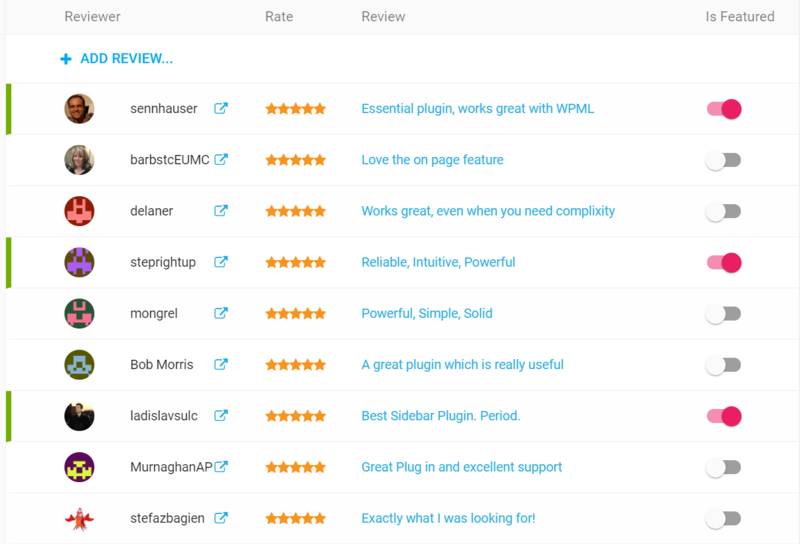 They certainly contain much value for WordPress plugin developers who wish to build something great for others to use.